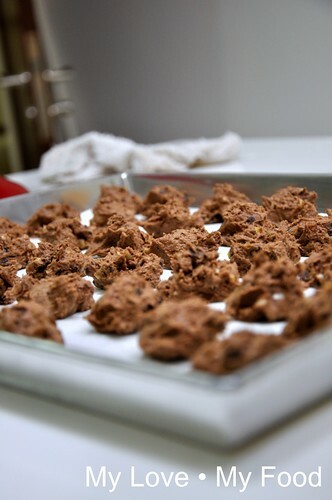 After baking green pea cookies and receive many good comments, that actually boost up my confident level to make other type which am adapting from Rasa Malaysia’s recipe. 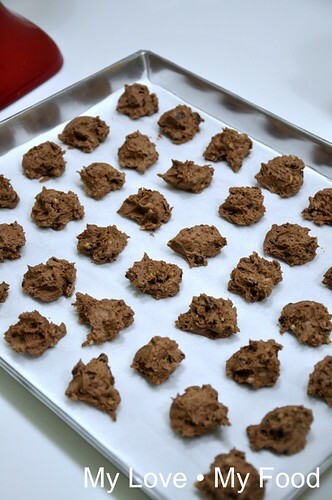 I find that it’s even more easy to make compared to Green Pea Cookies and even Peanut Cookies. 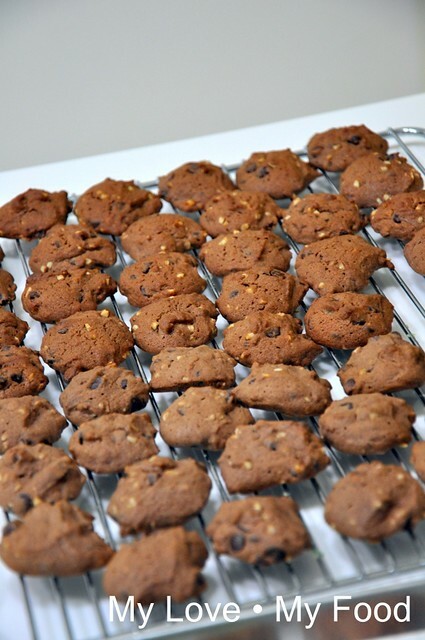 When I made that for the first time, hubby wasn’t really like the shape of this cookies, but of course, when it’s out from the oven, the entire kitchen was full of chocolate smell. 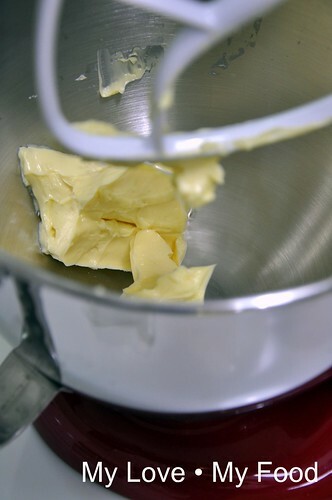 Preheat the oven 200 degree Celsius for 20 minutes. 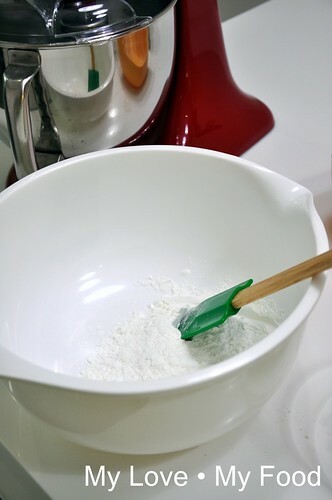 Combine all dried ingredients into a mixing bowl, mixed well. 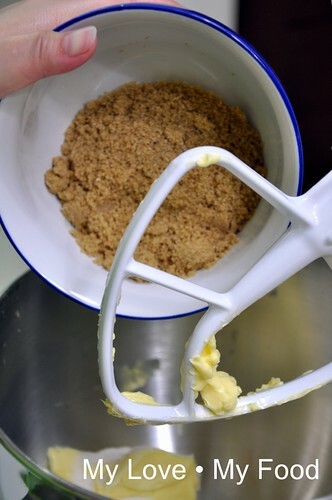 Beat the butter, castor sugar and brown sugar till creamy. 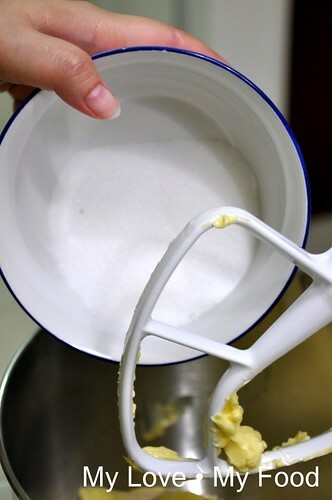 Add the lightly beaten eggs. 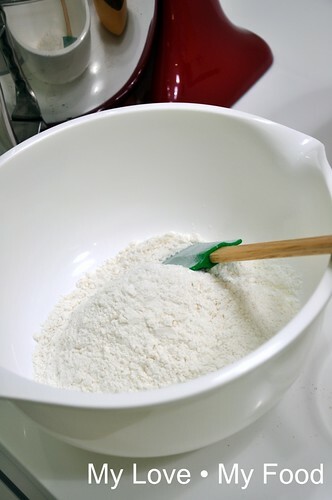 Gradually add on the flours in the mixing bowl. 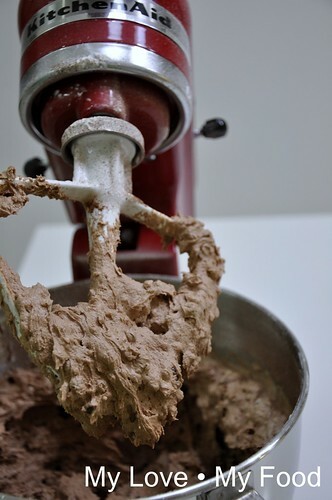 As well as cocoa powder if you decided to add that in. 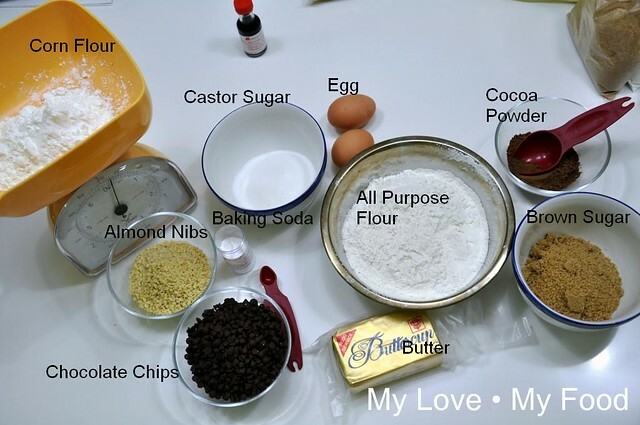 Not to forget add in the almond nibs and chocolate chips. 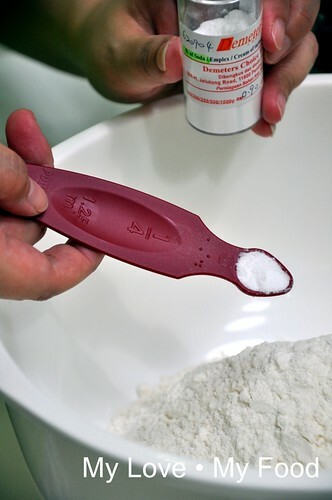 Once done, am actually used ¾ size spoon scoop out the dough and place it onto the baking tray. 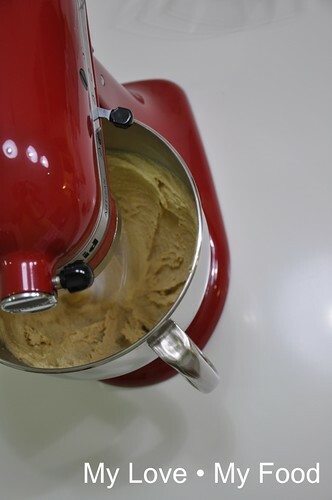 And baked for 10 minutes, let it cool before storing in the container. Hi Babe_KL, wishing you and your family a happy and prosperous new year... and happy valentine too! 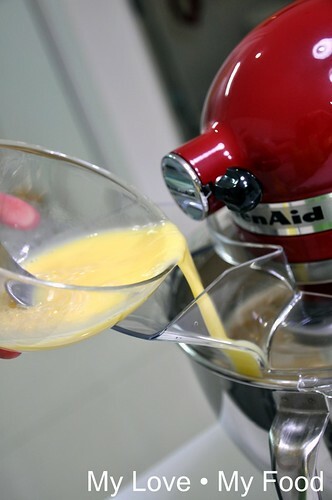 Your blender looks very chio! Where did you buy that?